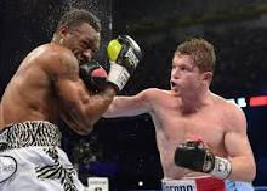 Indianapolis, Indiana – An intellectual property attorney for G & G Closed Circuit Events, LLC (“G & G”) of Campbell, California initiated a lawsuit in the Southern District of Indiana alleging that Elsa Valdez and Tikal #2, Inc., both of Indianapolis, Indiana, illegally intercepted and broadcast the Saul Alvarez v. Austin Trout fight program (the “Program”). G & G states that it holds exclusive nationwide rights to the commercial, closed-circuit distribution of the Program. It has sued Elsa Valdez and Tikal #2, both individually and doing business as Sabor Latino Bar a/k/a Johnny’s Park Inn Restaurant & Bar, under the Communications Act of 1934 and the Cable & Television Consumer Protection and Competition Act of 1992. • Count I: Violation of Title 47 U.S.C. § 605. For this count, G & G states that it is entitled to (a) statutory damages for each willful violation in an amount of $100,000, and (b) the recovery of all costs, including reasonable attorneys’ fees. Later in the complaint, the intellectual property attorney for G & G requests statutory damages of $110,000. • Count II: Violation of Title 47 U.S.C. § 553. For this count, G & G asks the court for (a) statutory damages of $60,000 for each willful violation; (b) the recovery of all costs; and (c) and in the discretion of the court, reasonable attorneys’ fees. • Count III: Conversion. For this count, the court is asked to order both compensatory and punitive damages from Defendants as the result of the Defendants’ allegedly egregious conduct, theft, and conversion of the program and deliberate injury to Plaintiff. G & G also seeks costs and attorneys’ fees under this count. The case was assigned to Judge Larry J. McKinney and Magistrate Judge Mark J. Dinsmore in the Southern District of Indiana and assigned Case No. 1:14-cv-00616-LJM-MJD.